You only have to follow a handful of Sydney foodies on Instagram to see just how many restaurants and small bars are opening across the city. The amount of choice can be a little overwhelming at times, especially in emerging food hotspots such as the Inner West. Here suburbs like Newtown, Enmore and Chippendale are awash with new casual eateries. 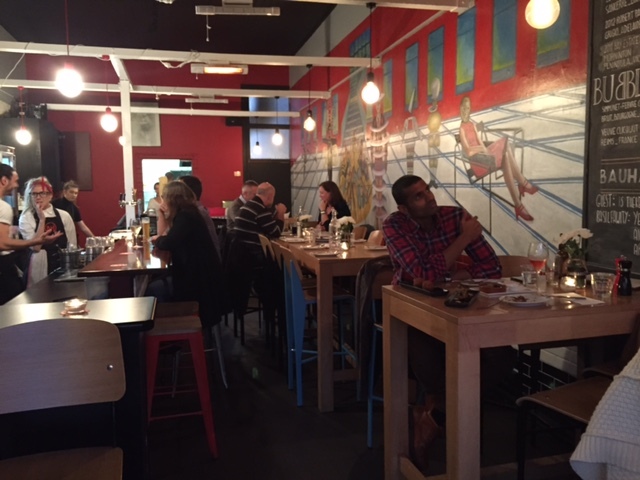 They’re bringing a wave of good food that’s delivered in relaxed, unexpected dining spaces, with unconventional menu formats, carefully planned wine/beer lists and kitchens that satisfy your hunger post 10pm. 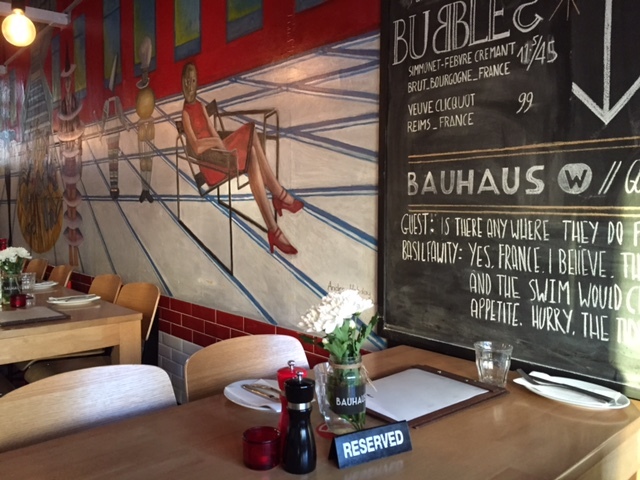 I was recently invited to one of those restaurants, Bauhaus West, for a leisurely dinner. Bauhaus West is located just a short walk from Newtown Station; on Enmore Road opposite the Enmore theatre. It opens early enough for pre-show diners and also caters for hungry late night locals. Bauhaus West is a restaurant-bar. It has the feel of a small bar but the features of a restaurant, like online bookings and comfortable seating. Chris Thomas opened Bauhaus West in late 2014 after his success in the Masterchef auditions. As Head Chef he’s created a menu that spans four categories – unconventionally named as ‘taste, graze, feast and bliss’. It’s a menu that proudly states ‘we only use free range eggs and meats’ – an admirable call-out that sits perfectly with my feast wisely philosophy. The calamari is crusted in a delicate dukkah and comes served with couscous and apricots. I enjoyed a taster alongside a couple of the zucchini flowers. 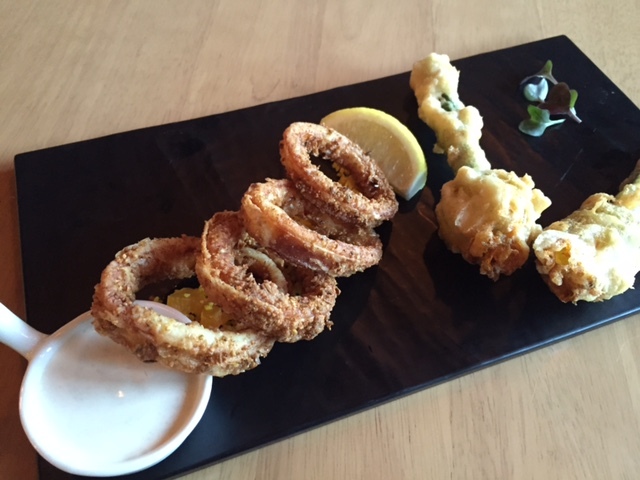 The calamari and zucchini, like the spicy Hunan beef rib short ribs, are almost too good to share. They’d all make a fine entree if you’d prefer not to engage in a debate about who gets the last piece. 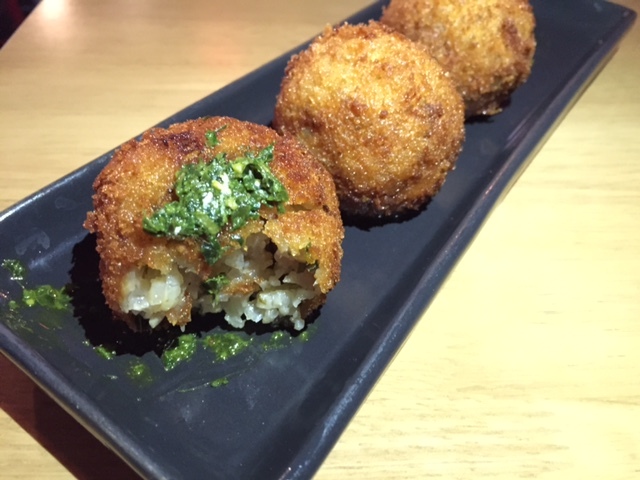 The ‘mini’ arancini balls, perhaps my top pick grazing dish, are mini only in name. Four fluffy and crispy balls are a steal for $11.50 and would be even better with a little more of the tangy house-made salsa verde. It’s tempting at Bauhaus West to fill your belly tasting and grazing, but try to save a little stomach room for ‘feasting’. 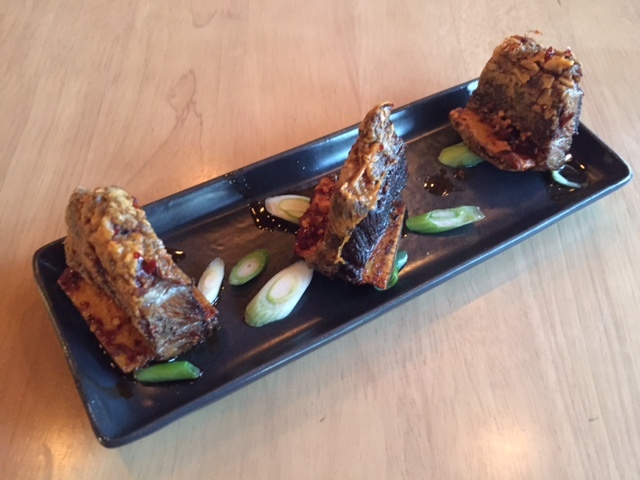 Like the smaller plates these main sized dishes (priced around $30-35) show Chris’ passion for East-West fusion. 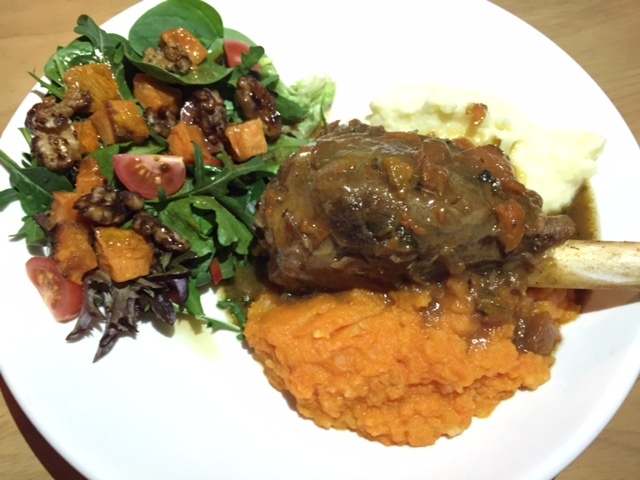 At the same time, as you’ll see from the duck breast and lamb shank, they’re hearty and generous. If you’d prefer a feast dish without the meat then the house-made linguine is a popular option – it comes on the standard menu with snow crab and tuna belly, or may appear on the specials menu with mushroom, chilli goats cheese, pesto and pinenuts. Finally Bauhaus West makes it easy for diners to enjoy a blissful ending. With only two or three desserts on the ‘bliss’ menu it’s a deliberation free zone. 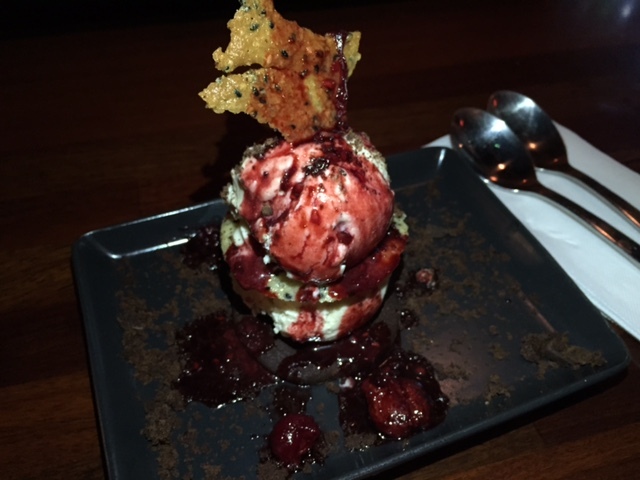 I’ve heard the halva sour cream ice cream stack is so popular that locals keep coming back for more – it’s a chocolate biscuit base topped with a generous serving of house made ice cream, sesame tuile and raspberry and balsamic coulis. 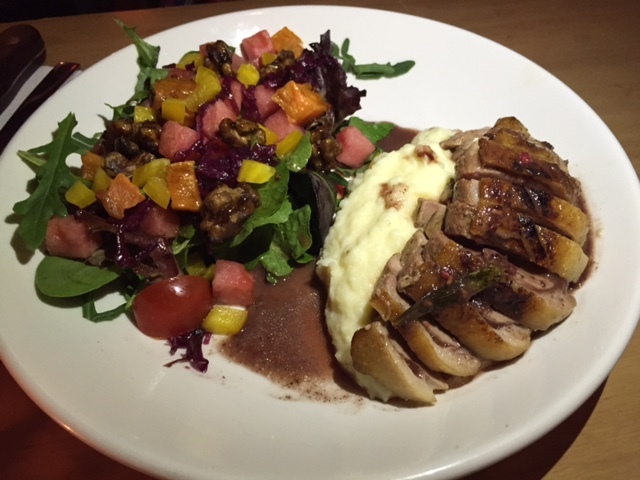 Bauhaus West describes itself as big on heart and flavour. By now you’re probably sold on the flavour, but what about the heart? The heart comes through in the generous servings, the no shortcuts cooking (like the house-made linguine and ice cream) and the friendly, welcoming service. 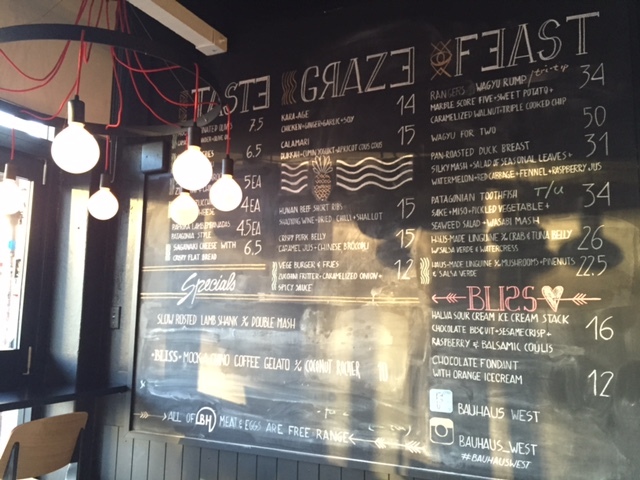 So go spend the night as an Inner West local with a taste-graze-feast-bliss experience at Bauhaus West. 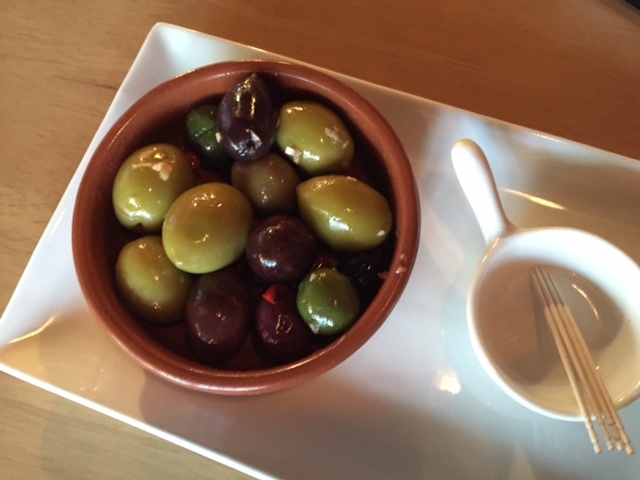 Tags: bar, Bauhaus West, Enmore, menu, restaurant, review. Bookmark the permalink. My mouth is watering, the food looks and sound delicious! What a treat to have it nearby. 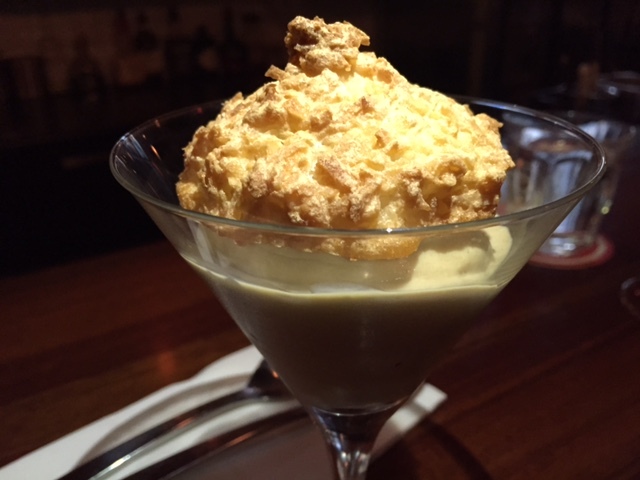 Thanks Liz – yes I’m spoilt for choice with great places to eat like this in Sydney….